In the “Farmer’s Son, Military Career,” the author shares his roots and retells his wonderful and inspiring journey growing up as a farm boy and enlisting in the military to join the Air Force. Through this memoir, he hopes to inspire and encourage every reader to remain headstrong through the ups and downs of life. Incredible stories are always worth telling and for Clarence E. “Kip” Vold, he narrates his own journey while honoring the roots that helped shaped him to become the man that he is today. Through this memoir, he hopes to inspire and encourage every reader to remain headstrong through the ups and downs of life. 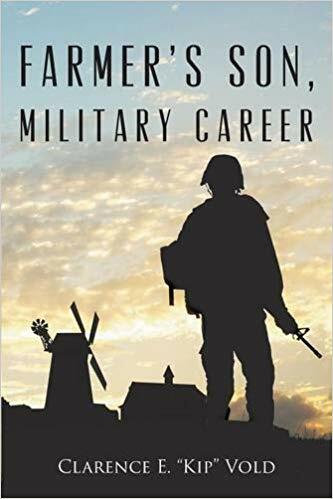 “Farmer’s Son, Military Career” also shows readers that the author’s life before the military is worth-telling. Vold lovingly shares his family’s history and his experiences while growing up in the plains of South Dakota—surviving blizzards and ending up getting lost in their own yard, completing grade school in a small, one-room school, and many more memories. He also traces his Norwegian roots and details how his parents met. As he takes a trip down on memory lane, Vold also opens up about his unforgettable experiences in the military. From sharing his various positions in the military to achieving the highest enlisted grade in the Air Force, he vividly gives his readers a glimpse of the life of a military man. He also supports his narrations by including many photographs taken through the years. “Farmer’s Son, Military Career” will truly touch many hearts and relate to many readers from different walks of life. This book also reaches out to readers with humble beginnings in the farm, Veterans, active military members, and even the youth. Each page of Vold’s wonderful story will remind them to treasure their family and friends and to stay positive and determined in order to overcome life’s difficult and challenging moments. Paperback and other formats are available for purchase on Amazon (https://www.amazon.com/Farmers-Military-Career-Clarence-Vold/dp/1634178610/) and other major online booksellers.